Member feedback has played a huge role in shaping the path EzineArticles has taken to get to where it’s at today. 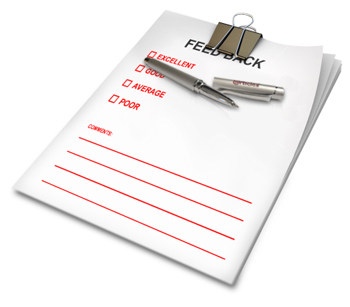 Feedback has an impact on the tools we build and projects we pursue. After all, this is your platform to share your expertise in the areas you know best. You have the chance to have a real impact on the site’s future and the future of the article writing and marketing industry. We listen to all comments and feedback to figure out what works, what makes a difference for you and what you’d like to see in the future. Our goal is to constantly build features that help you focus on the thing that matters most – your writing. You can continue this tradition by taking a minute to tell us what you think. Episode 5 of the “2 Minute Approval Tips” video series. This series is designed to help get your articles approved on the first submission. We’ve looked at past submission records to find the most common reasons why articles aren’t approved on the initial try. Since we know your time is precious, we’ve compressed this information into individual 2-minute videos. In comparison to other important aspects of article writing, formatting the article properly just seems so … trivial. Yet it’s not. When you take the extra effort to format your articles properly, readers can simply absorb your wisdom rather than spending extra time sifting through an unbroken string of words and characters searching for their meaning. It’s much easier for them to decipher the message in your article when visual cues are used to break up the article and manage the flow of information. In this “2 Minute Approval Tips” episode, I’ll share some basic formatting guidelines that’ll help you avoid common formatting issues so your readers can clearly understand your message. 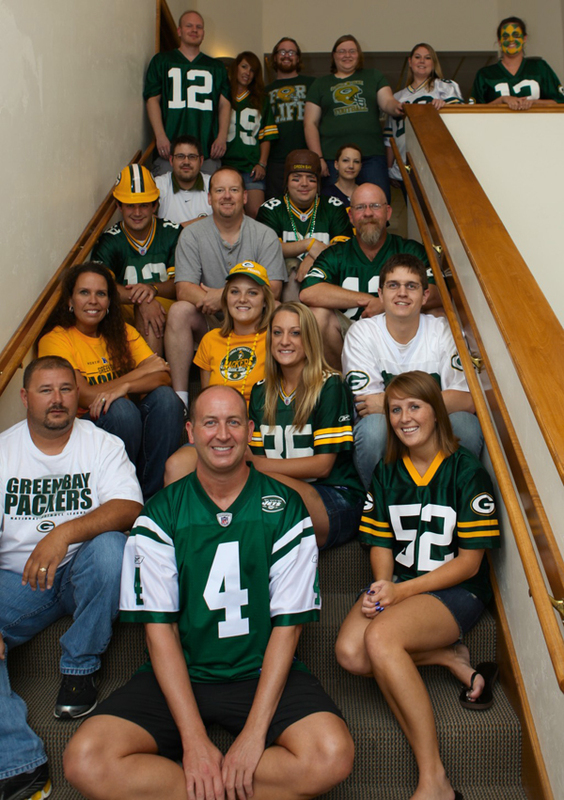 The EzineArticles Team is geared up for another season of Packers football in Green Bay. There’s two seasons in Green Bay: football season and the off-season. Tonight marks the official start of football in Green Bay because it’s the first preseason game of the 2010 season. In the spirit of our love for the game, we all dressed up in our most extreme fan attire. Only a few brave souls dared to wear the colors of any other team. Whether your a fan of football or any other sport, here’s hoping your team has a productive year! How to prevent having the messages in your articles get lost in translation. Even the best writers can lose control over how their audience perceives their messages when they write for a global audience. It’s important to remember that every potential reader carries a unique set of life experiences into how they read and perceive your content. Just as you are bringing a particular amount of expertise to your writing, your readers have their own knowledge set they’ll use to interpret your message. As a result, what you write in an article may be different from what your audience understands from your message. Despite your best efforts, misperceptions can still occur. In this video, I’m going to share 7 tips that’ll help you say what you mean to say and avoid having your words misperceived by your audience. Recently, we rolled out the first and second phases of a Niche Expansion Project. These phases have elevated our total number of niches to 673 and don’t worry, we haven’t reached critical mass … yet! The Niche Expansion Project encompasses every possible article topic by building a targeted category and sub-category base. Many of these new Niches have come from burgeoning Top Level Categories or the diversity of authors redefining existing subcategories. As we get closer to Phase 3, keep in mind that it’s still crucial for you to choose the best category for each article. By placing the article in the correct category, the chance that it will be discovered by browsing readers increases dramatically. Many readers search for content by category. Additionally, daily e-mail alerts and RSS Feeds containing newly published articles are sent out to interested publishers, authors and subscribers. Putting your articles into the wrong category could mean a traffic standstill and missing out on hundreds, or even thousands of readers! The 10th edition in a series of posts that highlight one Expert Author who has achieved success by doing just one thing exceptionally well. 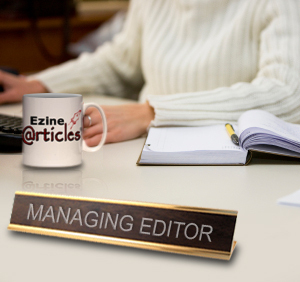 Marcia has also taken on the role of Expert Author on EzineArticles. With years of writing experience behind her, Marcia uses each of her published articles as a roadmap for her next ezine writing and marketing opportunity. Expanding on content in previous articles is a way to write material that contains plenty of new information and builds on the ideas of previous submissions. For example, she says, “Where you’ve collected many do’s and don’ts in one article, break them out in more depth. Each point getting its own article-length treatment.” This type of strategy helps Marcia write more about each topic she covers and stay detail-oriented. She also re-purposes content across different platforms to build her online presence. “I like to participate in online forums and lead teleseminars. My explanations in those venues often get reworked into EzineArticles pieces.” She continues, “Tips that I have written up as articles then reappear in books, and vice versa.” This is one way to build your reputation as an expert across a variety of platforms to reach new audiences. Congratulations to everyone who qualified for the most successful #HAHD Challenge ever! Certificates of Completion – All #HAHD qualifiers should have already been notified of your successful completion of the challenge by the appearance of your printable “Certificate of Completion” on your Author’s Area home page. There is no need to send a prize request email. #HAHD Prize Packages – We will be mailing the prize packages (mug, tote bag, wall clock and mouse pad) in the coming weeks. Please allow additional mailing time for locations outside of the continental U.S.
Top 100 Premium Drawing – The top 100 qualifiers by total number of submitted articles will be entered in a drawing to receive 1 of 10 free 1-year EzineArticles Premium Membership subscriptions valued at $697 each! Double #HAHD Challenge – Double #HAHD qualifiers will begin receiving their leather-bound journal packages in the coming weeks. In the spirit of healthy competition, the 100 Miles in 100 Days Running Challenge (#HMHD) was launched alongside #HAHD 4. Congratulations to everyone who signed up for this NIKE+ Running Challenge and especially the 15 competitors who completed over 100 miles. Again, congratulations to everyone who qualified for these challenges! Watch the Blog, Twitter and Facebook Fan Page for details on the 5th #HAHD Marathon Challenge scheduled to begin Thursday, September 23rd. In the meantime, remember to continue the positive (and profitable!) habit of submitting at least one article per day to really turbocharge your article marketing success! Of the 2,615 Expert Authors who enrolled, 261 (10%) successfully qualified with 100+ articles. Top 100 qualifiers article count cutoff = 129 articles. Episode 4 of the “2 Minute Approval Tips” video series. This episode is about providing fresh original content in every article. Articles should be built on your expertise in the form of tips, techniques, analysis and commentary. In nearly all cases, referencing outside sources isn’t necessary to nail down a point. You should be able to use your own expertise to make your point. Instances where you use quoted text should be few and far between. If you must include some quoted material, here are some tips on how to do it the right way. Every month @EzineArticles provides well over 100 useful tidbits of information, fun facts and training – We’ve gathered the best ones from July right here. Retweet any of them to enhance your article writing and marketing efforts. 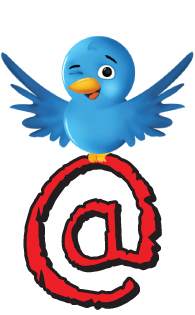 Just CLICK on to auto-populate your Twitter status field. To get the most out of your articles, brand yourself as the expert and believe it! Deliver great content to prove it. Original Content includes tips, strategies, analysis, opinions and commentary based on YOUR own perspective. Write yours! Make a lasting impression! End your articles with a strong CTA that will be remembered. Don’t overuse … ellipsis … your writing … sounds like … it’s out of breath. An ellipsis is 3 periods and no more. Article Writing doesn’t have to consume all of your time! Feel more prepared by setting time in your schedule to write. Bring your message alive with powerful action words. Use your, ‘say what you mean’ voice and get their attention. Stop BOLDING at me! Like excessive capitalization, excessive bolding can cause a message to be misconstrued for yelling. Use links that contain content that is directly relevant to your article to ensure a higher rate of return. 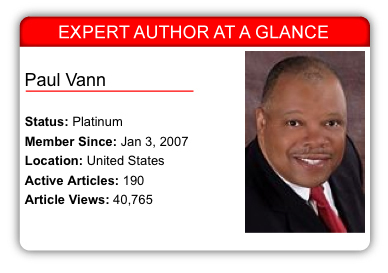 Today’s Expert Author Case Study introduces us to Expert Author Paul Vann, a professional speaker and author of the book, Living on Higher Ground, who uses his public speaking experiences as a way to generate new article ideas. Paul, a leadership strategist who helps organizations find their competitive advantage, writes articles for EzineArticles to share his expertise and passion for leadership. He also writes because article writing and marketing boosts his website traffic. To maximize the visibility of each article, he first uses EzineArticles as the primary mode of publishing and then distributes it through social networking sites and other channels. As host of The Wealthy Speaker Talk Radio Show, Paul interviews entrepreneurs, business experts and celebrities about the concept of empowerment. He uses experiences from his public speaking appearances and on-air interviews to generate content for articles. As part of our ongoing Expert Author Case Study project, we asked Paul to share his thoughts on article writing and marketing. 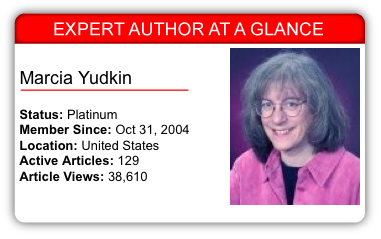 What sets you apart from other Expert Authors? My passion for writing sets me apart from other Expert Authors. I know my readership gains content-rich and value-added benefits from reading each article I write on EzineArticles, it’s truly a win-win for all involved. What’s your secret to article writing and marketing success? My secret to article writing and marketing success is EzineArticles because I write articles that make a difference in the lives of readers, then I disseminate my articles via social networking sites, my ezine and joint venture partners to gain maximum visibility. Another secret is to write during the early morning when ideas are fresh.